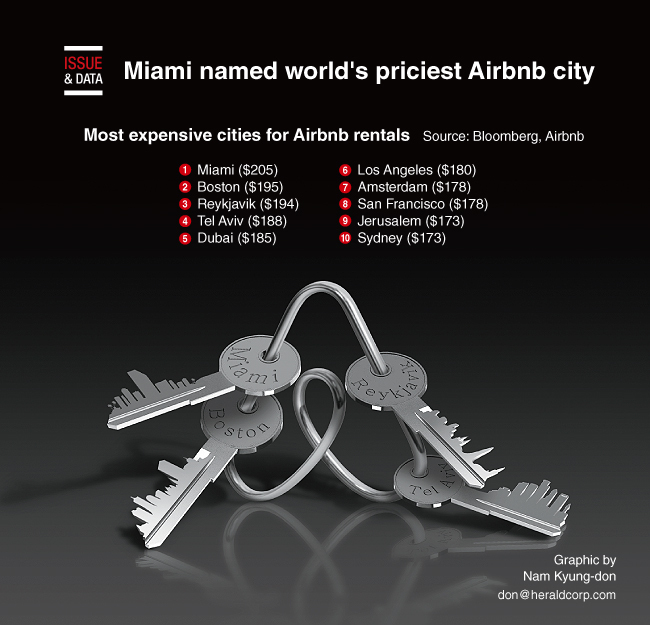 Miami and Boston took the top two spots in the average daily cost of lodging in private dwellings for the second straight year, according to Bloomberg index. Airbnb owners asked for $205 a night and $195 a night, respectively, in the two cities. The Middle East has been climbing in the annual index and this year has five destinations among the top 15 priciest global cities: Tel Aviv and Dubai at No. 4 and No. 5, and Jerusalem, Riyadh and Kuwait City also near the top.